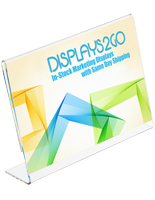 This acrylic frame is great as a business card holder or as a counter display! 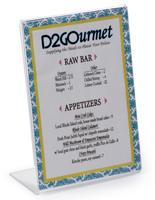 The simple design is suitable for any type of commercial setting. 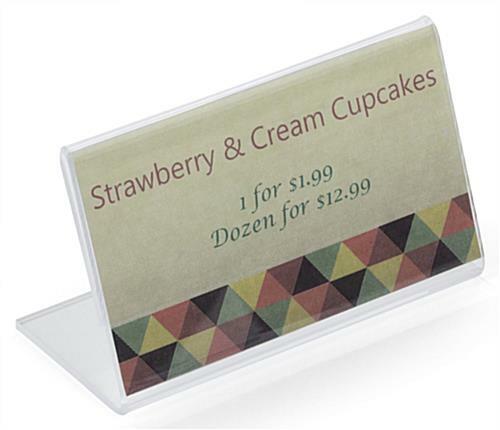 This acrylic frame is a versatile sign holder that can be used for a wide range of needs. The angled design provides a premium view of the signage. 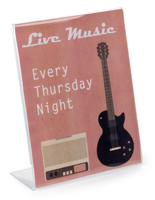 Each acrylic frame is constructed of one solid piece of acrylic that has been carefully heated and bent to create this sign display. The solid construction is more durable than similar units that are pieced together with glue or bonding agents. 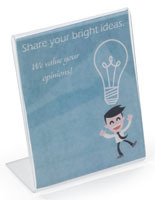 This acrylic frame, basic business card holder, is easy to change out signage. The sides are open allowing users to slide old cards out and replace with new inserts. 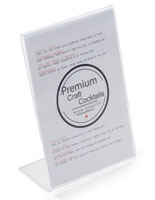 This acrylic frame is also used as a place card holder. 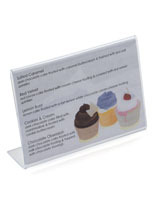 Use this small angled sign to hold a decorative name card at a wedding or corporate function. 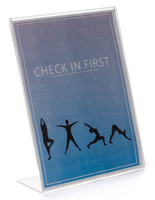 This acrylic frame features a clear design that will not detract from the signage on display. 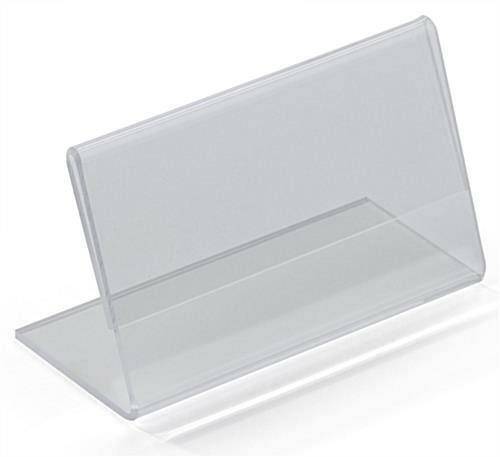 The overall display dimensions are 3.5"w x 2"h. This clear print holder is the ideal acrylic frame to display name cards for a large business event. 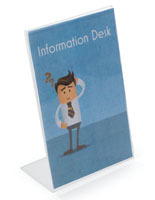 We use these business card stands in our trade show booths to help identify our products. They make a nice product identifier using the Avery business card stock, and they don't take up much room ! !